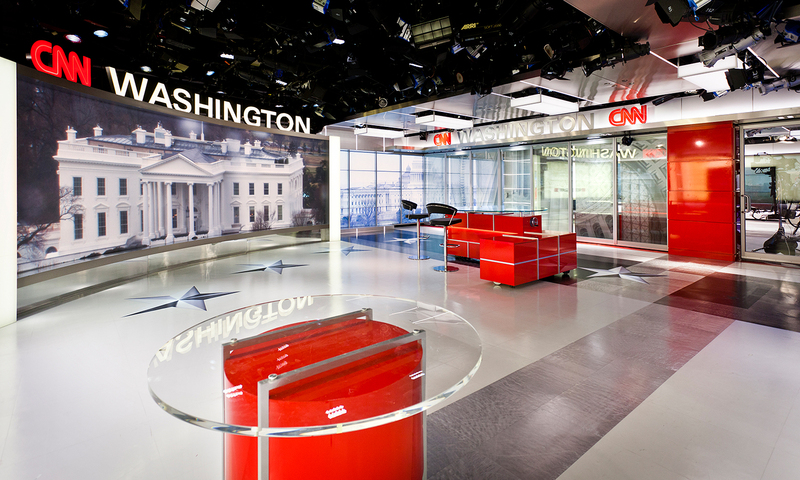 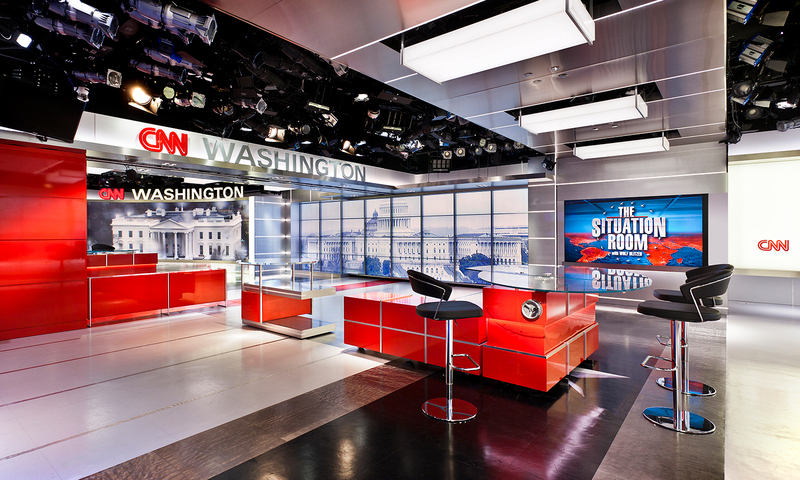 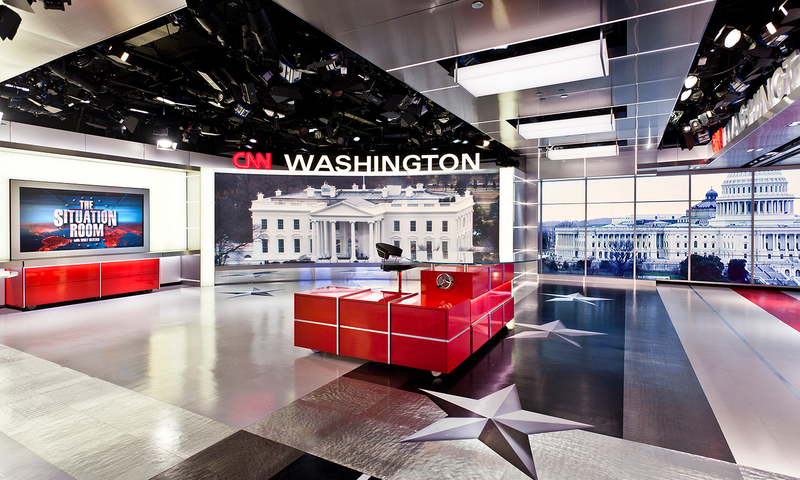 CNN’s commitment to being the definitive voice reporting from the nation’s capital is reflected in their Washington Studio. 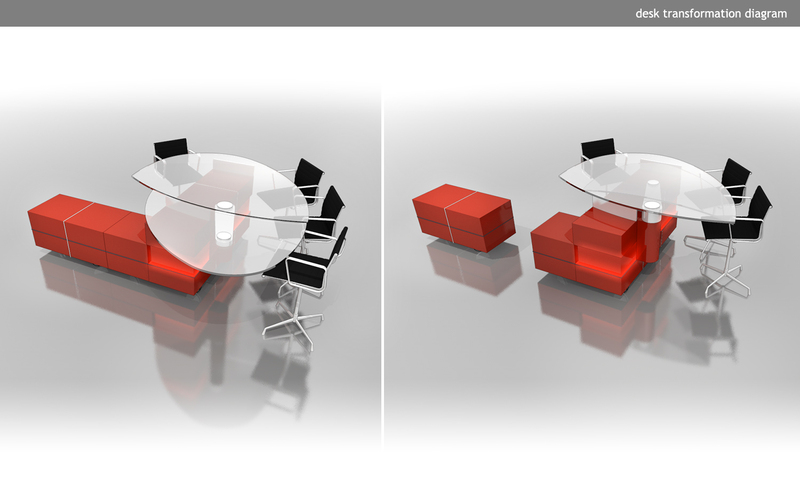 This reconfigurable set joins — or separates — two distinct spaces by employing a retractable glass curtain wall. 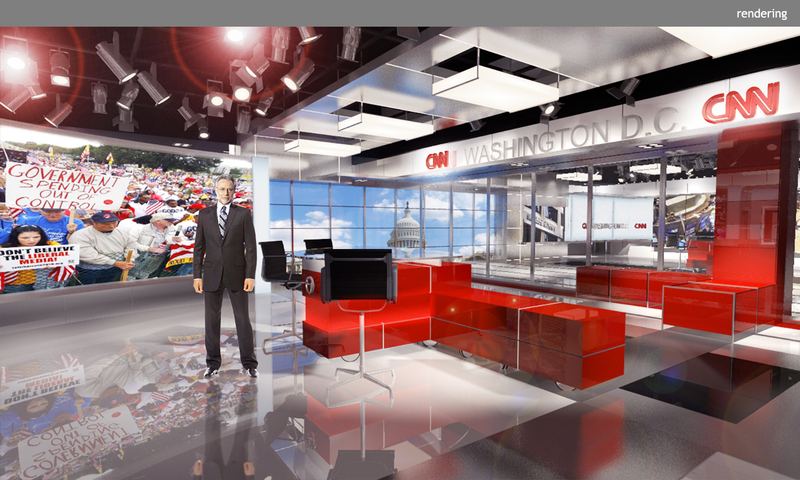 The spaces share a 27-foot long “vistawall” which sets the tone by presenting an iconic image of the Capitol. 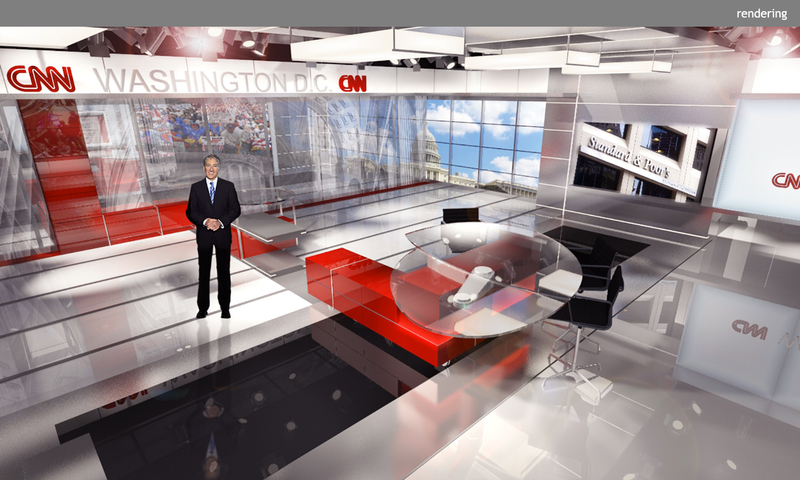 In an act of bipartisanship, a single, expansive environment can be created by opening the glazed partition, while leaving it closed allows for the independent studios to maintain simultaneous broadcasting capabilities. 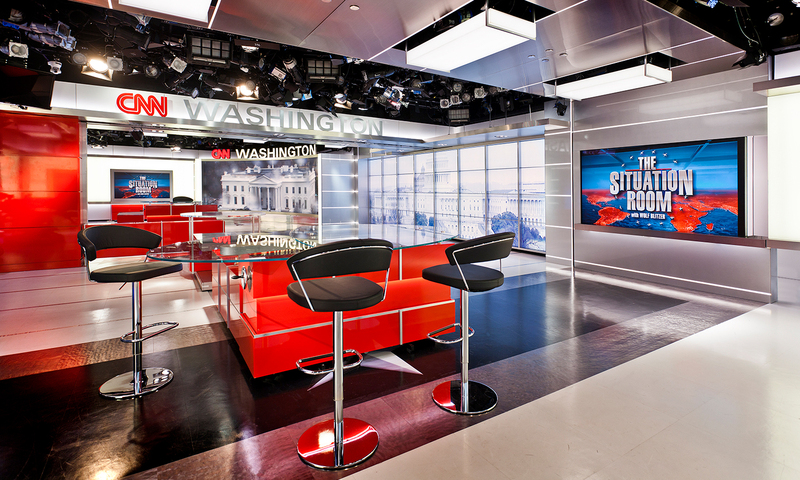 Broadcasts can achieve further flexibility through the use of monitor arrays; a projection screen; mobile interactive displays; and modular, reconfigurable desks.